CHICAGO (WLS) -- A 34-year-old woman faces federal charges for allegedly giving a loaded .38 Special revolver to her 14-year-old niece, knowing that she had planned to use it for murder, federal officials said Thursday. 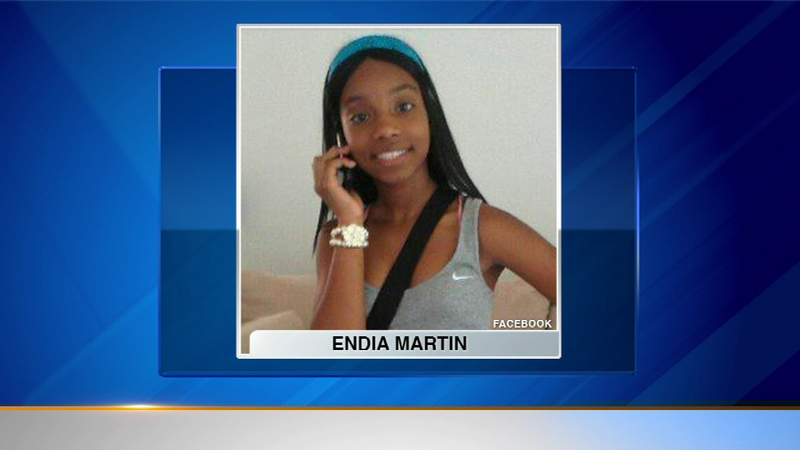 In April 2014, the teenage niece used the gun to kill 14-year-old Endia Martin, and wound another girl, while they walked home from school in the Back of the Yards neighborhood. Vandetta Redwood, 34, is charged with one count of transferring a firearm to a juvenile while knowing that the juvenile intended to use it in a crime of violence, and one count of possession of a firearm within 1,000 feet of a school zone, officials said. According to the indictment, Redwood gave the revolver to the minor on April 28, 2014, alleging that she knew they were planning to commit first-degree murder and other firearm-related offenses. Redwood possessed the gun within 1,000 feet of two elementary schools on Chicago's West Side - Oliver Wendell Holmes Elementary School and Visitation Catholic School, according to the indictment. The charge of transferring a gun to a minor for use in a crime of violence carries a maximum sentence of ten years in prison. Possessing a gun within 1,000 feet of a school is punishable by up to five years. Last month, the shooter's uncle,Donnell Flora, 27, was convicted in the murder of 14-year-old Endia Martin after giving his niece the revolver that was used. Redwood was arrested Thursday by Chicago police officers and pleaded not guilty during an arraignment hearing. She will remain in federal custody until a detention hearing on Tuesday.